Are you smarter than a slacker? 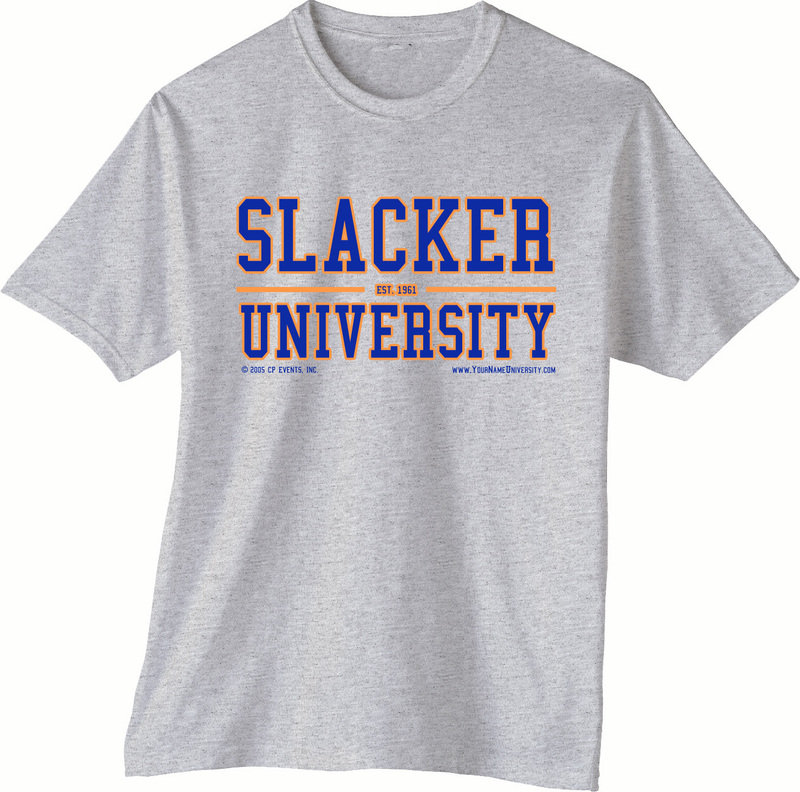 Slackers show up everywhere—as classmates, teammates, colleagues, instructors, and even bosses! They “slack” because they are often unsure how to “win” at their work. They want to know how to advance, get interesting assignments with people they enjoy, and be rewarded. But when their expectations aren’t met, they decide to “fake it” rather than make a committed effort. “Slackers become really good at manipulating their bosses or team members to keep up the impression that something takes longer than it should or invent barriers where none exist,” says Meagan Brock, HR specialist at the University of Oklahoma in Fox’s article. I guess so! Slackers can’t win if someone’s really watching. Slacking is a consequence of weak oversight by a supervisor, advisor, or instructor. Employees and students under-perform when they believe it won’t be noticed or really matter. Pay attention to outcomes you see and don’t see; ask piercing questions and expect specific answers about work progress. Don’t accept excuses. If a coworker or student doesn’t have to work hard to maintain employment and some reward, they are at risk to become a slacker. We owe it to them and our organizations not to let that happen. “The worst course of action is to do nothing, allowing slackers to fly under the radar,” Brock warns. When your performance system rewards results achieved through hard work over the appearance of busyness, “slackerism” will decline. This means we all need to be vigilant, recognizing that by helping to turn the slacker around we help ourselves and our organizations. It’s not the bells and whistles that matter in life and at work; it’s our grit and commitment to push ahead, tackle the difficult, and turn things around on schedule. That’s how we build the self-confidence and self-esteem we need to achieve the success we want. Dawn Lennon has a Master’s degree from Lehigh University. She is the author of the book Business Fitness: The Power to Succeed—Your Way and the Business Fitness blog. She spent over 20 years in senior manager positions in consumer programs, HR, customer service, and change management at a Fortune 500 energy company. She is currently president of her career & small business coaching/consulting practice, Big Picture Consulting. You can follow her on Twitter, Facebook, and LinkedIn. This entry was posted on Sunday, January 9th, 2011 at 11:49 am and is filed under Leadership. You can follow any responses to this entry through the RSS 2.0 feed. You can leave a response, or trackback from your own site. Liked this approach to setting up systems to foil slackers. Our students at Santa Clara University identify group projects where one of the members isn’t performing as a common ethical issue they have to deal with. Any thoughts for students? We’ll be addressing this on our blog (wwww.scu.edu/thebigq) in April. Thanks for the comments and question! I have personally set up reward systems with my current staffers and staffers in the past to set high expectations and reward for meeting those expectations. Currently in the housing community I manage, we have a community assistant (CA) of the month program in which the CA who is gauged as the most active and helpful is rewarded with a $50.00 AmEx gift card that they can use to purchase whatever they like. In the past, I developed a “token economy” in which all of my students staffers could earn plastic tokens that they could turn in for prizes or privileges (e.g., gift cards, ability to switch shifts, free laundry service, etc.) If they miss a shift, are late, forget to do something, they lose tokens. It goes both ways: reward and “punishment.” Students could suggest what rewards are appropriate. Volunteers could earn the ability to go on trips, conferences, etc. depending upon the activities of the organization. Just a few friendly thoughts.